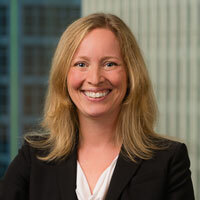 Beata Krakus, an officer in Greensfelder’s Chicago office, has been recognized among the best franchise attorneys for cross-border/international franchise work by Chambers and Partners. Krakus was also ranked by Chambers Global in 2016 and as an “Up and Coming” lawyer in 2014 and 2015. She is ranked nationally by Chambers USA, as is Greensfelder’s Franchising & Distribution group as a whole. Chambers Global is published annually in March, and the U.S. edition is published each May. Chambers identifies the leading lawyers and law firms worldwide in multiple practice areas through surveys and interviews with clients and lawyers. Rankings assess qualities including technical legal ability, professional conduct, client service, commercial astuteness, diligence and commitment. The Chambers Global guide is published by London-based Chambers and Partners and covers 190 countries. The 2017 rankings can be viewed here.